Erin joined her father, Toby, in the business in 1998 and in 2014 purchased the business from him when he semi-retired. She is happy to call Wadena the home she has resided and raised her family in. Although she is seasoned in all lines of insurance her forte is and continues to be group, individual, and Medicare health and life products. With ever changing rules and regulations it is important to have an agent committed to staying in touch with what’s new in the industry and you can be assured that is Erin’s top priority. Toby and his wife Jeanette founded the Pierce Insurance Agency in 1959 to serve the Life & Health Insurance needs of Wadena and the surrounding area. Together they operated the business out of their home while raising their five children. 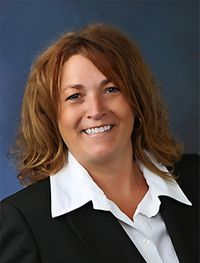 In 1998, they moved the business to its current location and changed the name to Toby Pierce & Associates Ltd. Over the years Toby has served on the various boards throughout the community including 12 years on the Wadena City Council. Toby is now semi-retired but continues to come to the office daily and can be considered an excellent source of information. 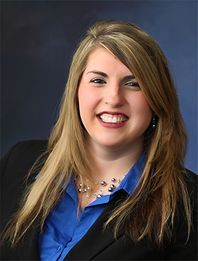 Katie started in the Insurance Industry in 2008 and has continued to grow as an agent within our office. She graduated from Minnesota State University Moorhead in 2008 and returned to the Wadena area to start and raise her family. Katie has found she enjoys the environment of commercial and personal insurance best since joining the agency and handles everything from new business and issuing renewals to policy endorsements and filing claims. Katie is the first contact for all commercial and personal insurance needs and is eager to assist you with any questions or concerns you may have.